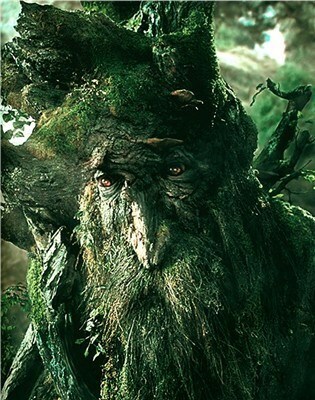 No I don’t think this is biblical evidence of Ents. 31 Then Jesus began to tell them that the Son of Man must suffer many terrible things and be rejected by the elders, the leading priests, and the teachers of religious law. He would be killed, but three days later he would rise from the dead. 32 As he talked about this openly with his disciples, Peter took him aside and began to reprimand him for saying such things. I have been praying for people to be healed for years, but only recently have I adopted a method similar to what Jesus uses here with the blind man. No, not the spitting part (though don’t sit in front when I’m preaching or lecturing, sometimes I get excited). The part where Jesus simply and quickly prays (it actually only says he lays hands on the man here, prayer itself is implied, not stated), then asks if the prayer has worked. When the man says partially, Jesus does it again. Robbie Dawkins uses this approach regularly with a lot of success, so we’ve been doing it too. It feels very in keeping with our Vineyard approach, where praying for healing is normal and something to be treated as such. We are also finding that a lot of times the second (or third) round of praying is when healing occurs. Amy, the girls, and I prayed for a friend like this yesterday in a parking lot and he felt some tingling in the spot that needed healing. We’ll see if there are long term results. If you aren’t used to praying like this, give it a try. It worked for Jesus, so why not us? I think this goes well with the main point of today’s reading, Jesus’ encouragement there at the end to follow his example, to live for others and for the Gospel, to give up claim to one’s life, to be – what’s the opposite of ashamed? To be bold, defiant, immodest, not sorry, shameless, un-regretful, un-remorseful, unselfconscious of Jesus and his message (all those courtesy of thesaurus com). Hear in today’s red letters a call to live like that. Because that is how Jesus lived and how he calls his followers to live.